Peter Tosh will be making an appearance at Altered Esthetics. 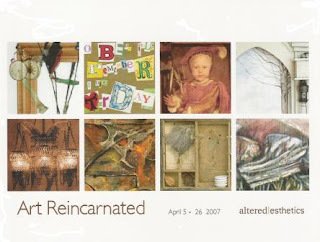 This piece was accepted into their April show "Art Reincarnated." The show will feature over 65 local and international artists. It is a recycled and found art group show.